I've always had a love affair going on with data. Any campaigns that I've worked on in the past have revolved heavily around number crunching and analysis. 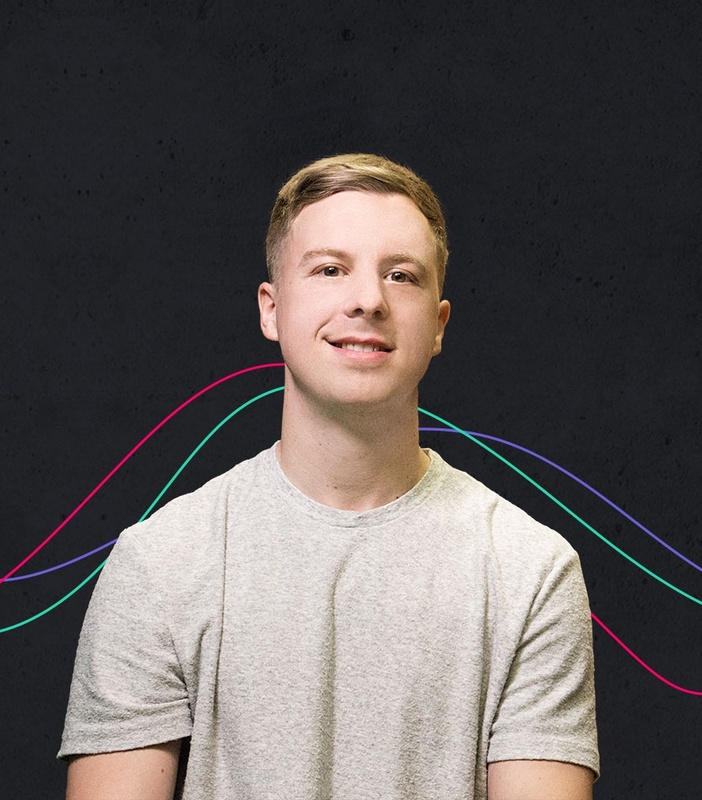 So when I recently joined HubSpot, I decided to use my love of data to help us understand what our "winning formula" is for content that is heavily shared on social media, earns lots of links, and brings in tons of organic traffic. To say that the results have been interesting would be an understatement. 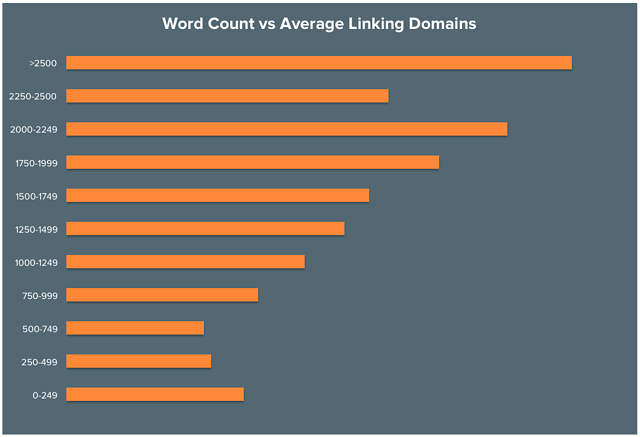 We extracted each of the URLs of every blog post that we've ever published on the HubSpot Marketing Blog (a total of 6,192 blog posts). Ran a number of tests that compared multiple data points against each other to find correlation trends. It's worth mentioning at this point that the study was purely focused around finding correlation. As a result, this doesn't offer us any absolute answers on one element of the blog post causing an increase in traffic, links, or social shares. That said, correlation analysis can give a very strong indication of what's working, even without proving causality. Enough scene-setting; on to the findings! 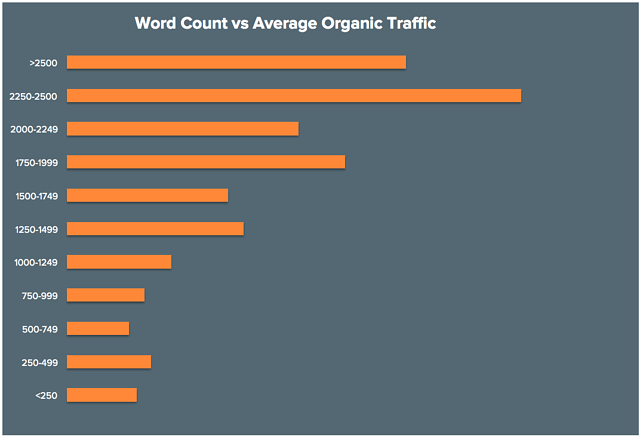 The chart below shows the average volume of traffic generated from organic search to a URL, broken down by the word count of that post. From the data, it's clear to see that there's positive correlation between high performing pages within organic search and word counts of over 2,250 words. The sweet spot seems to be 2,250-2,500 words. 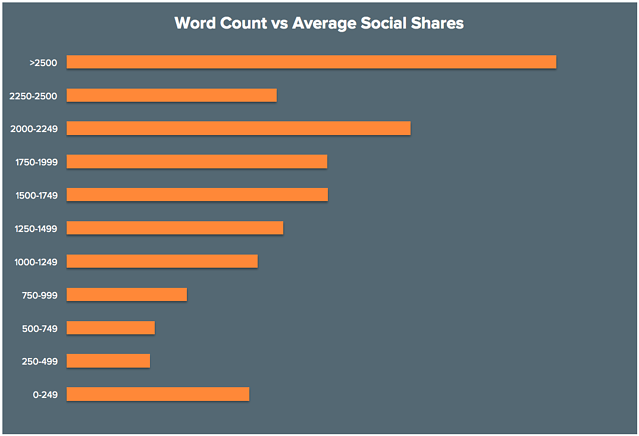 Staying on the theme of word count, I dug into what kind of effect it's having on social shares. Just to clarify, by "social shares" I mean total shares across all major platforms (Twitter, Facebook, Google+, LinkedIn, and Pinterest). As you can see, the trend largely supports that of the organic traffic vs. word count chart -- higher word count is correlated with more social shares. (Though the <250-word posts do receive a higher number of social shares than others in the <1,000-word category.) It could also be argued that there is a strong dependence on social shares for organic traffic growth (but that's a whole different discussion). The final word count analysis is about the correlation between an article's word count and the number of external websites linking to it. Again, there's strong positive correlation towards the content with a larger word count. Whilst this is still only correlation, the results give us a really strong indication of what length of content is earning more links, social shares, and organic traffic. An area that I'm continuing to explore more is the impact that links and social shares have on organic traffic, and I've got some interesting results around links in particular to show later on in this post. 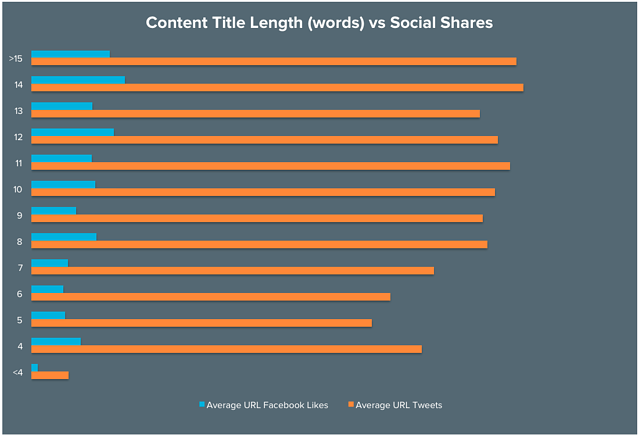 The below chart looks at the impact of blog titles towards how many times they're shared across both Twitter and Facebook. 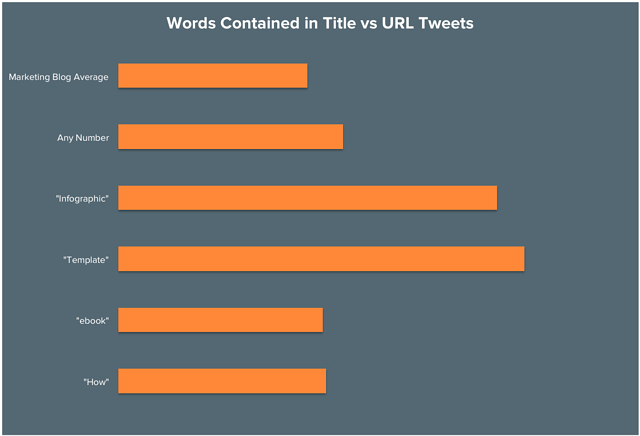 From analysing the headlines of each blog post on our Marketing Blog, I found positive correlation with headlines between 8-12 words in length for gaining the most Twitter shares (on average). Looking at Facebook, you can see that titles with either 12 or 14 words within them performed the best when it came to acquiring Likes. This data went against what I thought it would say, which I found really interesting. I'm going to look at how this compares against our actual Twitter and Facebook posts as well, but that's going to be a whole study in itself (you'll have to wait for that!). The next analysis is definitely one of my favourite sets of results and it's based around which words appear within article titles and how this impacts the number of shares they get on Twitter. Within the top row of the chart below, I've added the average number of tweets that a page within the Marketing Blog gets so that you can see a benchmark figure. When you add any number into a title, for example, "25 Ways That Matt's Data Is Awesome" (sorry, I couldn't resist), there is an 18.62% uplift in tweets. When you add "ebook" into the title, the post is shared 8.08% more, whilst "How" added 9.1% more tweets. The two other big ones are "Infographic," which achieves 100.05% more, and "Template," which achieves 114.60% more. The next area that I've looked at is the primary topic of the blog article. This chart shows the correlation between an article written about a specific topic and how many different websites link to the article (on average). The results show "A/B testing" articles get linked to the most, but as a note on this particular result, the standard deviation was particularly high amongst URLs in this topic. 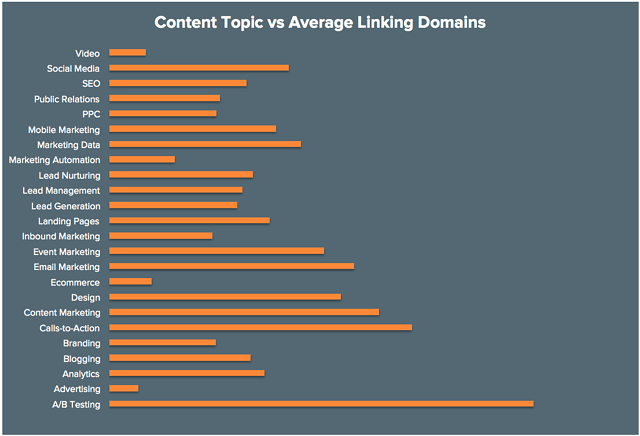 After "A/B testing," articles written around "calls-to-action," "content marketing," "email marketing," and "design" were most positively correlated with high volumes of linking domains. This last section is one that I was most excited about. The impact of anchor text within SEO is something that's been widely debated for years now. The data that I've been analysing should give some insight into the effects that both anchor text and links are having on search rankings. One thing that I really wanted to bring to light is the importance of links. I've been banging on about the importance of links for a number of years now, in particular the role that anchor text plays in the ranking process. Having an understanding of this can give you an indication of what the "sweet spot" is in terms of number of links required to rank content for competitive keywords. How much of an impact does external exact-match or partial-match anchor text within links have on our content ranking for a specific keyword? How much of an impact are the number of external links that each blog post earns influencing search engine rankings? Whilst this isn't black and white, it gives you a good way of setting objectives to hit within content campaigns. To expand on the data that I already had, I filtered down on any URL from the blog that had some level of organic traffic going to it between May 1, 2015 - July 31, 2015. This allowed me to only analyse data on URLs that have some level of visibility within the search engines (resulting in 2,796 articles). Using the new Webmaster Tools API from Google, I gathered the top keyword driving traffic to each of the individual URLs. This helped me quickly see which was the major keyword for each of our blog posts (special thanks to the guys at URL Profiler for enabling me to do this). To make a good comparison, I split up the top 100 blog posts that brought in the most organic search traffic between May 1, 2015 to July 31, 2015 to find trends that appeared in our top performing content vs. those in the rest of the blog posts. External Links: Hyperlinks coming from web pages outside of our domain (i.e. someone linking to us from their website). Anchor Text: The word or words used to link back to our website. For example, within this sentence, the anchor text would be "sentence." Exact-Match Anchor Text: This is when the anchor text is the exact same as the keyword that you're trying to rank for. For example, let's say we write an article titled, "Why Does Matt Produce the Most Boring-Looking Bar Charts?" and we were targeting the keyword 'bar charts'. An exact-match anchor in this example would be any link that simply links to us with the phrase "bar charts." For example, "Matt tries to keep things simple by producing bar charts that may not look great but tell really interesting stories." Partial-Match Anchor Text: This is similar to exact-match anchor text except that instead of the anchor only being the target keyword, it will be any anchor text that contains the target keyword in amongst other text. So, using the example of "bar charts" again, this would be an example of partial-match anchor text: "Hold on to your seats because we're about to leave bar charts behind and enter into the crazy world of pie charts." So ... onto the fun stuff. This pie chart shows the average breakdown of anchor text for a blog post that is not in the top 100 organic traffic pages on the Marketing Blog. 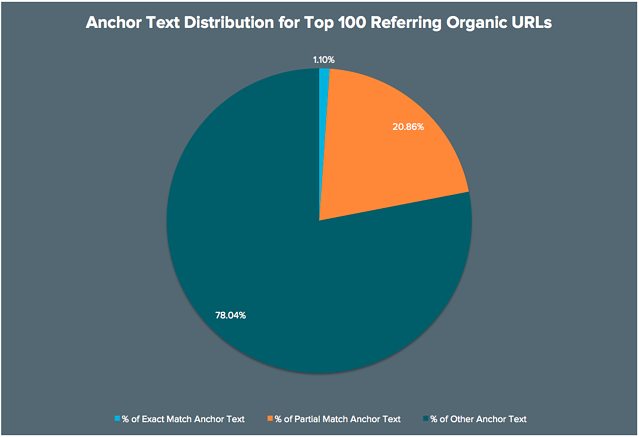 The data shows that 0.60% of the links to a URL have exact-match anchor text, 11.56% have partial-match anchor text, and then the remaining 87.84% is made up of other anchor text (i.e. "hubspot," "click here," etc.). Now let's take a look at the top 100 blog posts (in terms of generating organic traffic and ranking well in the SERPs). 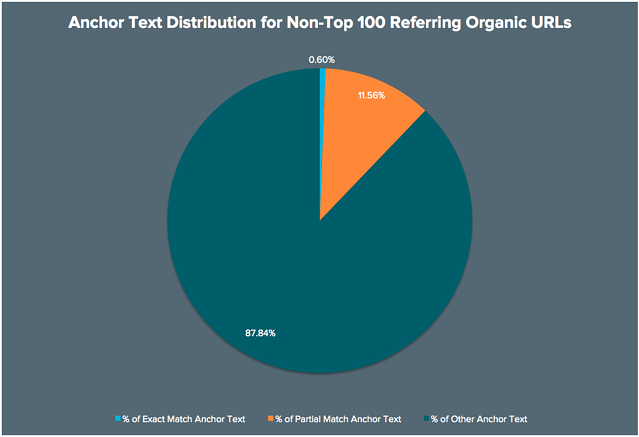 There's a big shift here: 1.10% of anchor text is exact-match, 20.86% is partial-match, and the remaining 78.04% is "other anchor text." Note: I'm not saying that you should go out and start building a ton of exact match anchor text to your content. I'm merely observing what our backlink profile looks like and the correlation it's having with organic traffic data. So take a big deep breath and cancel that order for "10,000 HIGH PR LINKS **AWESOME STUFF ONLY**" from Fiverr.com. 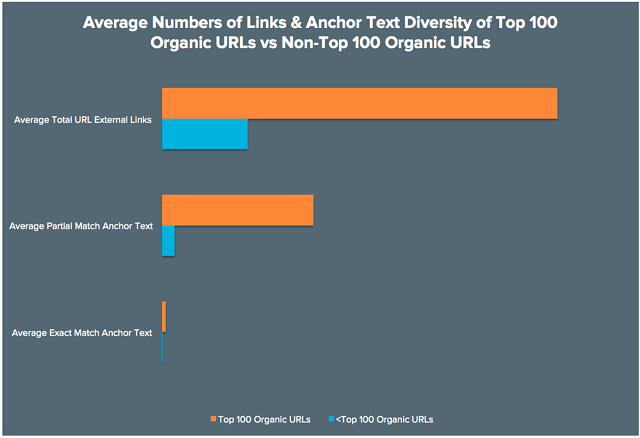 Next up, I've compared the top 100 blog posts (orange) against the rest (blue) to show the average number of external links that each page has, as well as the average number of partial-match and exact-match anchor text. This, in theory, could be used as an indication to guide us on how many links, and exact- and partial-match anchors we roughly need our blog content to earn to rank for major keywords. Obviously we wouldn't have control over the anchor text coming through to the site, but it's useful to know so that we can understand the ideal backlink template for our SEO. The below chart shows correlation between pages on the blog that have x amount of external links vs. how much organic traffic they receive. I've grouped the number of external links analysed to make it easy to see trends, and I tried to make sure that there was an even sample size across each group to make a fair comparison. 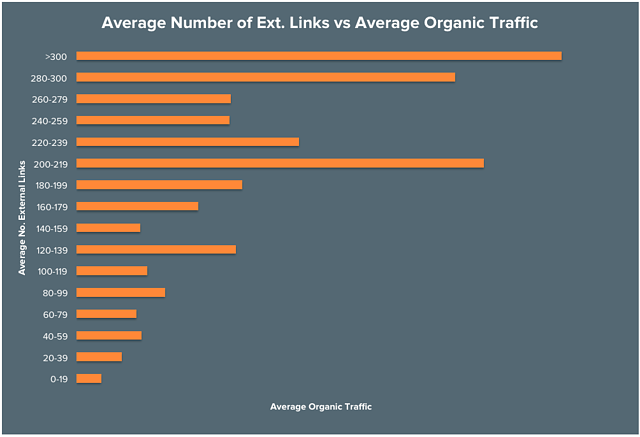 In short, this looks at whether having more external links = more organic visitors. The data supports the idea that more external links result in more traffic from organic search, with posts that have 300 or more links representing the pages with the largest organic traffic coming through to them. 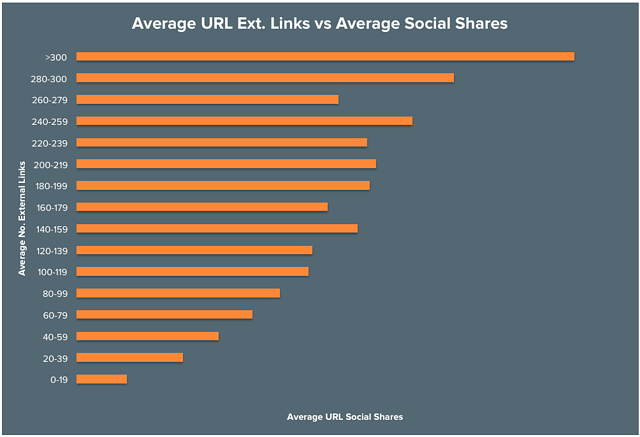 This last chart is particularly interesting as it shows data comparing the average number of social shares that a post on the blog receives vs. average number of links that it earns. You can see a clear trend of pages with more social shares having more links. Whilst social shares aren't a direct Google ranking factor, they clearly have a huge indirect impact that can result in the page earning higher volumes of organic links. Remember that the findings that I've presented aren't black and white. This is a correlation study and it doesn't prove 100% that x amount of links or anchors will definitely get you to the #1 spot in Google. But what this kind of analysis does is give clear guidance on the types of things that could be contributing to the success of a piece of content. There are tons more factors that come into play here, but I really wanted to give you all a data-backed insight into how each of the varying aspects of our content have an impact on search engine rankings, links, social shares, and organic traffic as the insight gained here can be useful for building and tweaking inbound marketing campaigns that you're working on right now.